Dr. Natalie Gaik is a certified orthodontist serving the Hamilton, Ancaster, and Stoney Creek, ON communities since 1990. 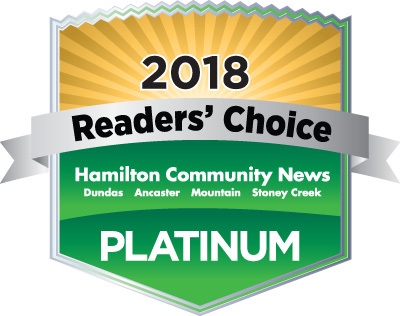 Located conveniently on Hamilton Mountain in the professional building of the Lime Ridge Mall, Dr. Gaik's top priority is to provide the highest quality of orthodontic care in an up-to-date, friendly, and comfortable environment. Why straight teeth? Straight teeth help a person effectively bite, chew, and speak. Straight teeth and a properly-aligned jaw contribute to healthy teeth and gums and may alleviate or prevent dental and physical health problems. A straight smile contributes to self-esteem and self-confidence by improving a person's appearance. Dr. Gaik has extensive training and utilizes the latest technological appliances in the industry, such as SPEED Braces™, clear braces, and Invisalign® clear aligners, to ensure that our patients receive the most advanced aesthetic treatments available. Whether you are an adult, teenager, or child, Dr. Gaik is committed to helping you achieve the healthy, beautiful smile you deserve. For this reason, we do not charge for initial consultations. Although many patients are referred by their family dentist, a referral is not required to book an appointment in our office. Dr. Gaik and our staff look forward to the privilege of meeting and working with you to achieve your dream of a beautiful smile. Contact our Hamilton orthodontic office to schedule an appointment today! convenient location - free parking! Our office is conveniently located on the mountain in Hamilton, Ontario in the professional building at Limeridge Mall.